Most people associate solar energy with solar panels that we see on the top of single family houses. Depending on where you live in the US, there may be quite a few solar powered homes because the state and/or utility companies have provided financial assistance to make the investment affordable. Another hurdle for homeowners is the look of these solar panels which affect the curb appeal of your house. Now with Tesla's announcement of solar shingles, it's time to start learning solar energy facts to understand this increasingly important energy source. Solar energy comes from the sun. The challenge is capturing this energy so we can use it to heat/cool our homes, hot water and power all the devices in our home that use electricity from refrigerators to washing machines, coffee makers and growing list of home electronics. Solar Energy Facts – How Much Energy Does the Sun Provide? They say a picture is worth a thousand words so I wonder how many words this short video by Green Mountain Energy describing solar power in less than two minutes. The fact I found most compelling is “the earth gets more energy from the sun in one day, than the world's population uses in one year“. If the sun generates so much energy, why haven't we harnessed this powerful resource already? The concept of capturing solar energy was discovered in 1839, when Alexandre Edmond Becquerel found ertain materials produced small amounts of electric current when exposed to light. Commercial applications took longer to develop and in 1954, researchers at Bell Laboratory patented a way of making electricity directly from sunlight using silicon-based solar cells. In 1955, the first commercial photovoltaic product was announced. It was only 2 percent efficient and cost $1,785 per watt (in 1955 dollars). In the 1960s they achieved 10 percent efficiency. A combination of space exploration and the 1970 oil crisis fueled more government support for development of renewable energy. For more history and solar energy facts, read the History of Solar Energy in California. So in plain English, here's how solar panels on the roof of a house work (thanks to Green Mountain Energy's graphic above). Solar panels collect the sun's rays and convert this energy to electricity. The control unit uses an inverter to convert the electricity to what we use in our homes (from direct current (DC) to alternating current (AC)). The control unit sends the electricity to your electrical panel, which distributes it throughout your house. The electrical panel sends excess electricity back to your utility if you don't have an energy storage device in your home. Appliances plugged into outlets work in your home work the same way, with no knowledge of whether the energy they're using was generaged by your solar panels or came from your utility company. 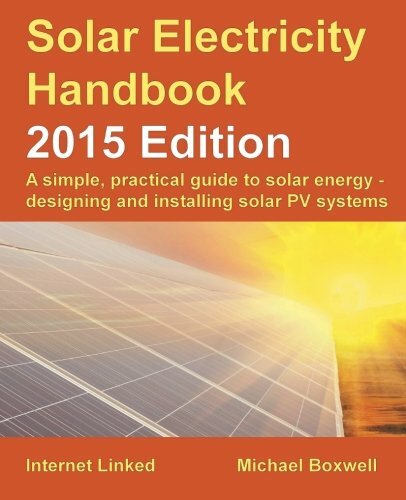 Solar Energy Facts – How Many Collection Systems are There? When we built our house, the roof design brought sunlight 12 ft into the house during the winter but no sunlight in the summer. Remember step #1 above, where solar panels “collect” energy from the sun's rays. There are four types of solar technologies used today to collect the sun's energy. 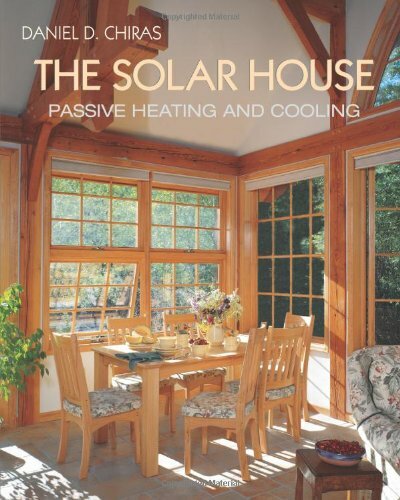 Passive solar – doesn't use mechanical or electrical devices. Think about today's house features like windows, walls and floors. They collect, store and distribute solar energy in your home. Windows collect heat in the winter and if designed property, will deflect sunlight in the summer. Solar photovoltaic – uses solar cells encased in panels to convert sunlight into electricity. When sunlight strikes the cell, a portion of the energy is absorbed within the semiconductor material knocking electrons loose and allowing them to flow. This results in an electric current that is captured and transferred like the solar panel illustration above. Solar thermal – absorb sunlight and convert it to usable heat. It's like a dark object sitting in the sun, getting hotter and hotter. Solar thermal is used to heat pools and hot water, so you'll often find this type of solar product called a solar water heater, solar hot water panel (or collector) or a solar thermal panel (or collector). Concentrated solar – produces electricity from the sun using mirrors (heliostats) which concentrate a large amount of solar thermal energy into a small area. While the US lags other countries in its' use of solar energy (read Germany's 10 Huge Lessons About Solar Energy), we're making good progress in both the residential and utility markets. Here are some solar energy facts that explain what's happened so far, and where the industry is headed (visit the Solar Energy Industries Association website for more data). The US now has enough solar energy capacity to power 6.2 million homes. 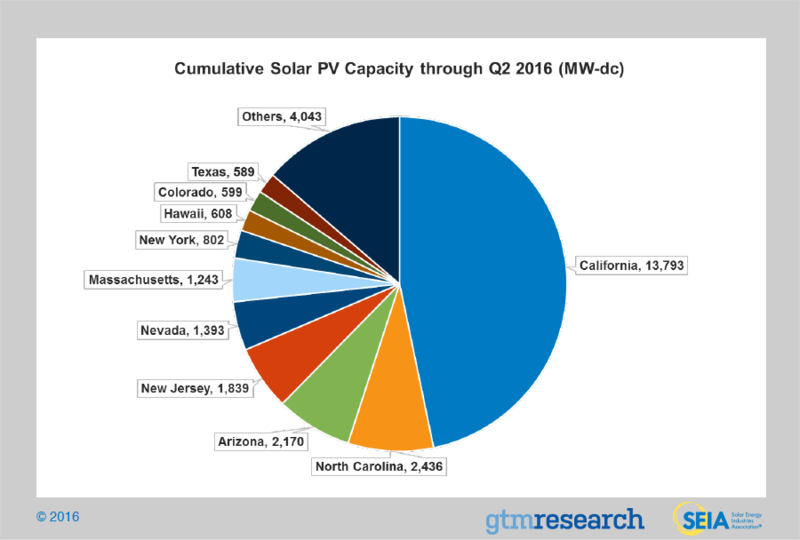 There are now more than one million residential solar installations with one new one added every 82 seconds in the first half of 2016. Homes with solar were able to meet 85% of their total electricity needs in 2015, according to TriplePundit.com. This represents a saving of roughly $2,000 on electric bills that year. Homeowners want to buy solar given a 70% drop in prices over the last 10 years. With 43 solar brands, 24 inverter brands and 40 financing companies, it's difficult to find the right solution. The EnergySage marketplace helps consumers comparison shop with simple, clear information and they're not affiliated with any industry players. Sadly, local utilities seem focused on protecting their business versus investing in solar as this article, Why Sun-Soaked Arizona Is Killing Solar Power, illustrates. The installed cost of solar energy has dropped by more than 73 percent over the last nine years. According to EnergySage.com, the tax credit meant an average savings of almost $9,000 in 2015. Congress extended the solar tax credit for five years (30% through 2019, ramping down after this), making solar more affordable for homeowners. The US Department of Energy is leading the charge to reduce soft costs (labor, supply chain and overhead) while the SEIA and the Solar Foundation are working to reduce local barriers to going solar, like streamlining permitting. This is because state regulations are a huge factor in whether solar is adopted. 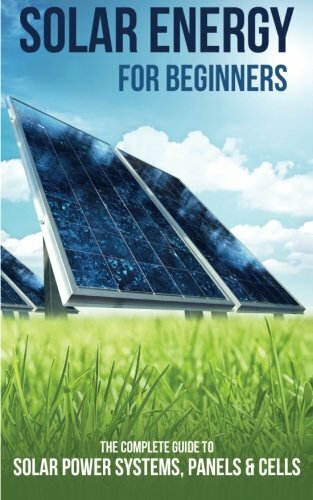 If you want to learn more about solar energy, you can keep searching the web or find a book that gives you a more in-depth view of solar energy facts. It's challenging but you'll learn a lot and some day, you'll make the investment … good luck!